8 Passenger Van | American Rent A Van INC.
8 Passenger Vans are perfect for transporting your group, family or both comfortably and safely. Our 8 Passenger Vans are perfect for corporate guests, students, athletic teams, schools, universities, clubs, church groups, resorts, entertainment, corporate groups and more. The 8 passenger van rental comes with three-zone air conditioning and tinted windows. 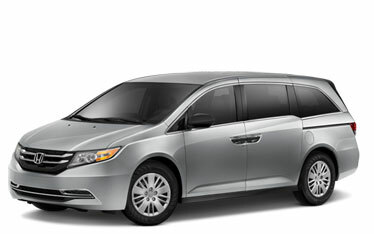 For easy access and extra comforts, each minivan rental has dual sliding doors with jam protection, power windows, cruise control and second-row captain’s chairs.